>Let’s face it. 2014 should be considered the year of the auto recall. With General Motors recalling millions of vehicles to correct ignition switch problems, and Honda, Nissan and Toyota issuing recalls because of alleged airbag issues, it is surprising how many cars on Florida streets and highways are subject to recall notices. The latest automaker to be affected by recalls (or at least seeing financial consequences because of them) is Korean automaker Hyundai. If you are keeping up with recalls, Hyundai initiated a recall of 2009 through 2012 Genesis models in October 2013 in an attempt to stave off problems with the vehicles’ braking systems. Essentially, the National Highway Traffic Safety Administration received complaints that brake lines on the Genesis could be affected by corrosion. 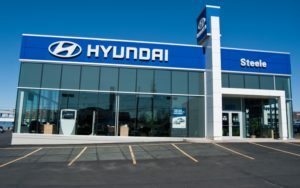 Fast forward to July 2014 and the NHTSA discovered that Hyundai knew about the problem long before its token recall, and issued a fine because of Hyundai’s apathy in correcting the problem. Hyundai will pay $17.35 million for such an act of neglect. Automakers have a duty to inform consumers of defects that can put their lives in danger. This is commonly done through recall notices. If an automaker fails to issue such a recall, and a consumer is injured in an accident caused by the defect, the automaker could be held liable. Injured consumers may be eligible to receive compensation for pain and suffering, lost wages, medical expenses and a host of other expenses. Moreover, the automaker could face millions in fines, much like General Motors.